Lily Stewart is an artist whose life is on the brink of collapse. Her credit cards are maxed out, her so-called boyfriend takes advantage of her, her old car has run out of oil, and, to top it all off, she’s being evicted from her New York City apartment. In dire straits begins the newest novel from author Kelly Harms, a former literary agent from the Big Apple who has made Madison, Wisconsin, her adopted home. While The Matchmakers of Minnow Bay begins in New York, most of the action takes place in a fictional northern Wisconsin resort town. Lily heads off to Minnow Bay in the quest for self-improvement—and for an annulment of the drunken quickie marriage she made ten years earlier. While the idea of “forgetting” that you married someone ten years ago seems a little far-fetched, Lily pulls it off by being … what’s the word … delightfully daft, and Harms cultivates this in order to establish a growth pattern for Lily. Once Lily finds the document of annulment that she never signed, memories of husband Ben Hutchinson come flooding back—as do memories of her friendship with Renee, a college friend who chose a far different path than Lily. Lily finds the former tech guru Hutchison living the life of a hermit in his hometown, and the novel slowly unravels their reasons for separation. Of course, they are still attracted to each other. But there is something preventing them from connecting, and distrust—probably the most dominant element in the novel—runs roughshod over all of Lily’s relationships. The book is not without flaws. For instance, Lily’s lack of rational thinking is too easily explained away by her daftness. In part, The Matchmakers of Minnow Bay runs a predictable course. But the ending is anything but predictable, and, for me, this is the sign of a well-written book. 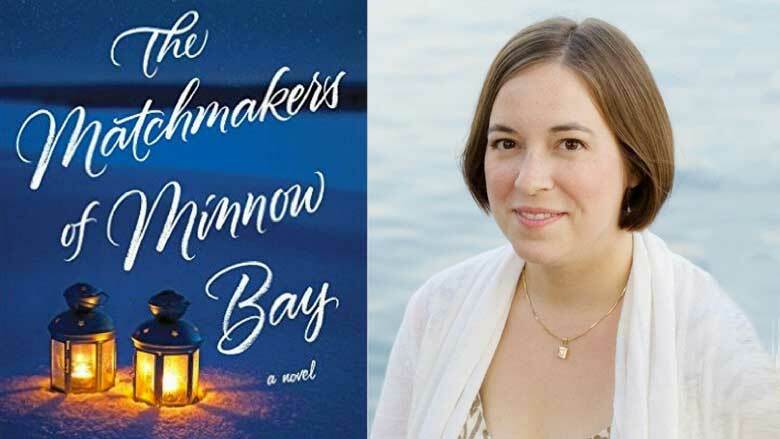 The Matchmakers of Minnow Bay is certainly not just another romance novel, and it deserves a place on your summer beach reading list.